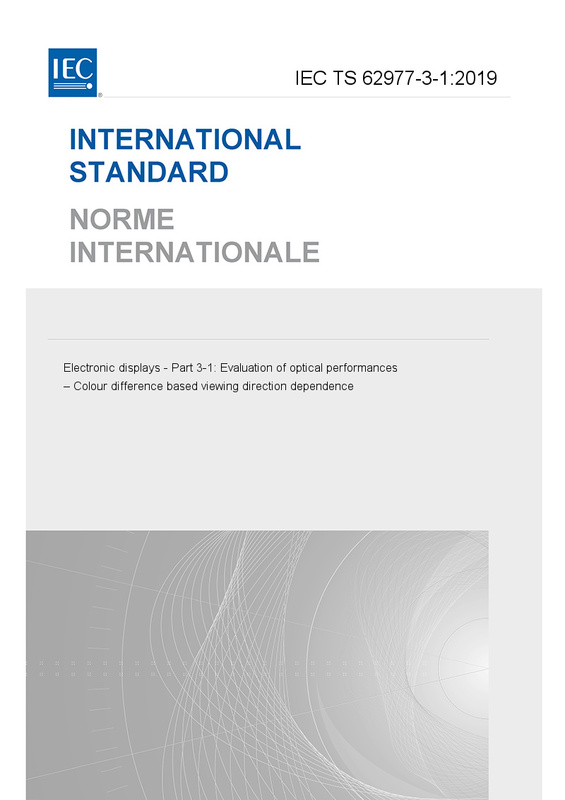 IEC TS 62977-3-1:2019(E) specifies the evaluation method of the viewing direction characteristics of electronic display devices under dark-room conditions. More specifically, this document focuses on the evaluation of the viewing direction characteristics based on colour difference. This document applies to colour matrix displays, which are based on transmissive or emissive technologies.